Calgary, Alta. – The Western Hockey League is pleased to announce that 19 WHL Alumni are set to compete in the 2018 Stanley Cup Final, which begins Monday, May 28 (8:00 p.m. ET) when the Vegas Golden Knights play host to the Washington Capitals. The defensive play of the Golden Knights has been well-documented throughout the first three rounds of the 2018 Stanley Cup Playoffs, allowing 27 goals through their first 15 games. 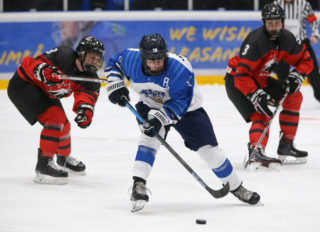 A defensive core that includes former Moose Jaw Warrior Deryk Engelland and Seattle Thunderbird Shea Theodore among other WHL Alumni has risen to the challenge of the NHL’s post-season. The Capitals charged into the Stanley Cup Final thanks to the play of former Saskatoon Blades goaltender Braden Holtby, who recorded back-to-back shutouts in Games Six and Seven against the Tampa Bay Lightning, stopping all 51 shots as his team survived two straight elimination games. A coaching staff that includes former Regina Pat Barry Trotz, Prince George Cougar coach Lane Lambert, and former Calgary Hitmen coach Blaine Forsythe, has helped guide the team to their second ever Stanley Cup Final appearance. The Golden Knights boast 11 of the 19 WHL Alumni participating in the final round of the 2018 Stanley Cup Playoffs while the Capitals have eight to their name. 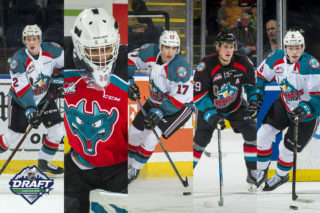 Of the 19 with ties to the WHL, 11 are players while eight are involved with the hockey operations or coaching staff on their respective teams. Cody Eakin Forward Swift Current Broncos Winnipeg, Man. Ryan Reaves Forward Brandon Wheat Kings Winnipeg, Man. Deryk Engelland Defence Moose Jaw Warriors Edmonton, Alta. 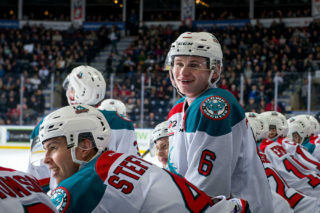 Brayden McNabb Defence Kootenay ICE Davidson, Sask. 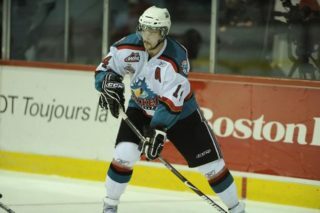 Clayton Stoner Defence Tri-City Americans Port McNeil, B.C. Shea Theodore Defence Seattle Thunderbirds Langley, B.C. Murray Craven Senior Vice President Medicine Hat Tigers Medicine Hat, Alta. Ryan Craig Assistant Coach Brandon Wheat Kings Abbotsford, B.C. Kelly McCrimmon Executive Vice President, Assistant General Manager Brandon Wheat Kings Plenty, Sask. Ryan McGill Assistant Coach Kootenay ICE Sherwood Park, Alta. Brett Connolly Forward Prince George Cougars Campbell River, B.C. Chandler Stephenson Forward Regina Pats Saskatoon, Sask. 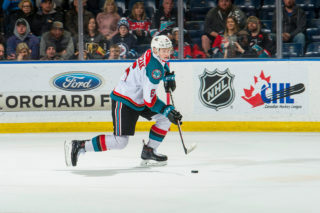 Madison Bowey Defence Kelowna Rockets Winnipeg, Man. Braden Holtby Goaltender Saskatoon Blades Lloydminster, Sask. Blaine Forsythe Assistant Coach Calgary Hitmen Calgary, Alta. Lane Lambert Assistant Coach Prince George Cougars Melfort, Sask. Ross Mahoney Assistant General Manager Regina Pats Saskatoon, Sask. Barry Trotz Head Coach Regina Pats Winnipeg, Man.